What makes your kid extraordinary isn’t just the epic stuff, like getting good grades, shooting a goal or winning an award. It’s the little things too. The small moments that maybe only you see — and quietly celebrate every day. My kids have been doing something over the last several months that has been, and is, a very big deal to me. They’re dad has been experiencing an extra helping of complications this year due to his Diabetes and being on dialysis. 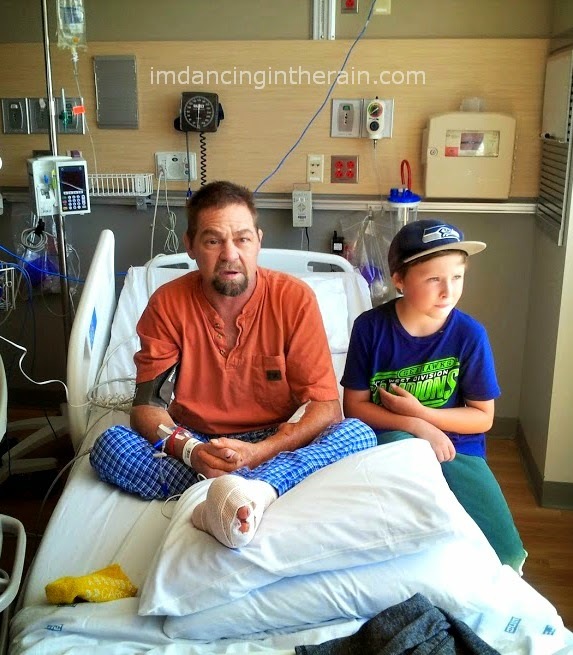 He has had to be at the hospital for more than a few ER visits, procedures and overnight stays. Most recently it was necessary for him to have a toe amputated. This means he is wheelchair bound for about six weeks. It is now necessary for me to accompany him to his dialysis treatments, when it wasn’t before, as he is unable to get from his car into the clinic on his own. My children are almost 14 and 8 ½. Thankfully, those are ages when they can safely be left home alone for awhile. This is something I am now having to do three early mornings a week in order to go to dialysis with my husband. Prior to this, I needed to let them be at home on their own sometimes because I had to be at the hospital or an appointment with their dad. Once was a soccer game day for my son. My daughter made sure he got ready and got him over to the field (right next to our neighborhood), and remembered to bring the team snacks. She texted me updates along the way. We got home a few minutes before the soccer game was over. When they came bouncing in I was beaming with pride at how well they did with their responsibilities, just when I really needed them to. My husband’s health problems are a big struggle, which makes me that much more utterly grateful that my kids are both very healthy. I’ve sometimes wondered what I would do if one of them got sick. I really don’t know. I just don’t. It would break my heart. At least I know there are facilities like Stanford Children’s Health and Lucile Packard Children’s Hospital. They are located in the Bay Area of California, which is actually where we used to live before relocating to Washington state. I remember when we lived there that Stanford was considered one of the best places to receive health care. Stanford Children’s Health and Lucile Packard Children’s Hospital Stanford has been the top-ranked children’s hospital in Northern California for over a decade. Stanford Children’s Health is the largest Bay Area health care provider with an exclusive focus on children and expectant women. Whether your visit is routine or rare, Stanford Children’s Health is committed to providing extraordinary care for healthier happy lives. They have this fun microsite where you can make a short video dedicated to your child(ren). I made one for Camryn and AJ. every moment together by creating a special video of your own!